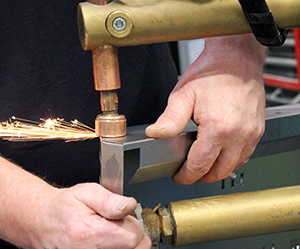 With well in excess of 10 million pounds sterling of U.K. based manufacturing resource and 50 years of experience at our disposal, Tamlite Lighting is able to offer a market-leading, bespoke manufacturing solution for those lighting projects where refurbishment or custom-fit designs are required. 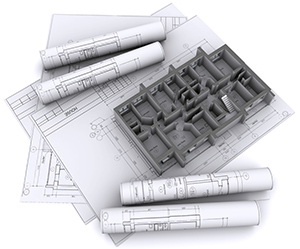 We have a team of design and production engineers on-hand to assist with on-site surveys, sample approval and designs covering a multitude of applications in retail, industrial or commercial installations. Solutions can be designed for retro-fit or new installs where mechanical or electrical fit does not conform to standard lighting formats. This can often help reduce installation costs of other building components, such as ceilings or services, as well as release energy savings available through the introduction of new lighting technology. There are many instances where the replacement of the current lighting fixtures is impractical or costly and a refurbishment of existing communals or gear trays would help reduce capital install costs, allowing for new lighting technology to assist with energy reduction. Many older fluorescent or halogen luminaires can be fitted with retro-fit LED solutions which are designed to fit directly onto existing lamp holders. However these solutions don’t always release the energy savings and continued performance needed, so a refurbishment of gear trays and attachments can be undertaken. 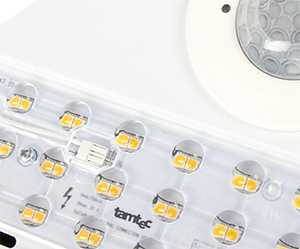 Tamlite have many years of experience in stripping out existing gear trays or luminaires, re-finishing and painting and then re-wiring with the LED light sources. In many instances the design of a replacement tray or communal is just as practical and economical as the all-new option. Many existing buildings have older ceiling types which require a unique, one-off design to provide a modern, energy efficient lighting solution. The dimensions and form-fit of the luminaire and any optical attachments are often outside of the standard range offered by most lighting companies. Tamlite Lighting is able to attend site and discuss with building engineers, architects and installers the requirements for mechanical and electrical fit as well as any lighting design needs. 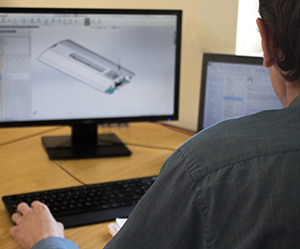 Our expert team of luminaire design engineers can then draw up all the necessary plans for our production teams to produce samples for approval. These often involve a number of modifications and iterations before ultimate approval, leading to final supply and delivery - often within weeks of the initial consultation. Contact our sales office to arrange a visit by our dedicated Sales Team.